In the Simone’s Kids child sponsorship program, there are so many incredible students with inspirational stories. 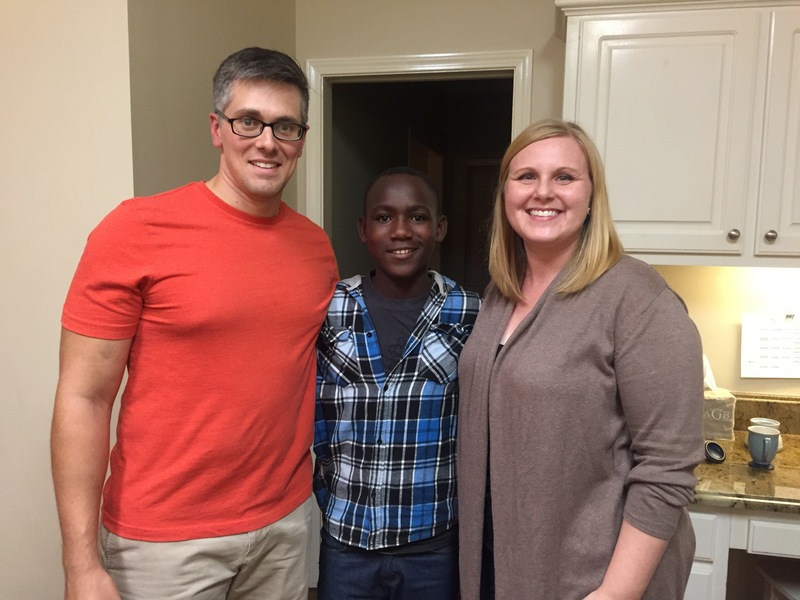 These stories show heartbreaking situations that have been turned around by the hope that Simone’s Kids has provided through education in Nakaseke, Uganda. One of those incredible students with a story of hope is Junior. Junior is now 14 years old and has been at God’s Hope School since the first year we opened. Junior is the youngest of 3 boys. Junior’s father passed last year, and his mother abandoned the family when Junior was still very young. Even when their father was alive, Junior and his brothers lived in a room by themselves from a young age, and it was a rare occurrence for them to see their dad. Every school term, Junior is always the brightest in his class, and he has been from the time he was in primary school. He is now in his second year of high school, and he has dreams of becoming a doctor. Without the Simone’s Kids program, we are not sure where Junior or his brothers would be today. Simone’s Kids has given these boys a place to be loved. Simone’s Kids has been able to give these 3 boys a free education. Because of Junior’s past, his academic excellence, his behavior, and how far he has come in the Simone’s Kids program, we decided to bring him to the United States to be a part of our A Classroom for Christmas campaign this year. During our time in the United States, we made it to 4 different states, several churches, 2 big fundraising events, and we saw Junior meet his sponsor who has been sponsoring his education from the time Simone’s Kids was started in 2010. There were so many things to highlight about his trip to the States, but one of the biggest blessings was definitely Junior getting to meet his sponsor. Junior got to physically see and hug the people that pay for his school, and the people he knows as ‘parents’ because they have given him the same opportunity that most parents give their children. He described it as “one of the best days ever.” Junior loved his trip to the states. He now has more motivation to finish his schooling and do his very best, because he realized firsthand how he can make a difference in the lives of others if he is successful himself. He got to meet and personally thank so many people who have been vital to the Simone’s Kids organization, and people who are sponsoring some of his closest friends. It was without question a trip that Junior will never forget, and he mentioned on the plane ride back to Uganda that he is ready to go back to the United States one day. Junior has had his life changed by Simone’s Kids in so many ways, and we are so thankful to all our supporters for shaping the future for so many students like Junior.